For four decades, Americans have waited for promises to be fulfilled. A succession of leaders has vowed protection from soaring gas prices, an end to dependency on sometimes-hostile foreigners for oil and new sources of energy to run their factories and heat and cool their homes that would be gentle to the environment and easy on their pocketbooks. Presidents from Richard Nixon to Barack Obama have spoken of the futility of relying on fossil fuels, their environmental impact and the dangers in extracting them from the earth. But in 2010, the nation still relies on fossil fuels for 85 percent of its energy needs. Opportunities for a comprehensive policy to significantly reform the nation’s energy model once again were lost to other seemingly more pressing issues, conflicting demands from interest groups and political chest thumping. In the national void, individuals and communities try to make change within their limited span of control. It was this year that the cost of the current energy model hit home. Twenty-nine people died in an explosion in a West Virginia coal mine in April. Two weeks later, a deep-sea BP oil well in the Gulf of Mexico exploded, killing 11 people and spewing millions of gallons of oil that continues to affect the lives of thousands who depend on the Gulf to maintain their culture and livelihoods. Two years ago, then-candidate Obama offered renewed hope that the change he would bring to Washington would include a move away from the perils of the dominant fossil-fuel model. But soon after taking office Obama made healthcare reform his top priority. A sinking economy and two wars seemed to push a new energy policy further down on his agenda. When members of Congress attempted to craft a policy, Obama, like a line judge watching different players volley compromised proposals back and forth, sat back with a hands-off approach as different legislation was proposed. Obama is the latest president to articulate policy proposals that didn’t get very far in Congress, said Charles Ebinger, director of the Energy Security Initiative at the Brookings Institute. In August 2005, President Bush signed into law the 551-page Energy Policy Act of 2005, an energy policy whose strongest selling point to the American public was extended daylight savings, designed to curb energy consumption. It did not address the regulation of greenhouse gases. But the act did award substantial subsidies to energy companies and established federal loan-guarantees to the nuclear power industry, which Obama officially supported when he dealt a guaranteed loan of $8.3 billion earlier this year to a nuclear power plant in Georgia for the construction of the first two reactors built on U.S. soil in 30 years. The U.S. House of Representatives tried its hand at shaping a definitive policy in June 2009 when it passed the American Clean Energy and Security Act, which was more focused on climate change than energy policy, by only seven votes. It was the first time either house of Congress had passed a bill that would regulate greenhouse gases. The close vote of approval reflected the tension over cap and trade, a trading system designed to curb greenhouse gases by rewarding polluters who reduce emissions. It also raised questions about the future role of the U.S. Environmental Protection Agency, responsible for regulating pollutants in the U.S. under the Clean Air Act. But some resist cap and trade, such as Tom Borelli, director of the Free Enterprise Project at the National Center for Public Policy Research. He said limiting carbon emissions would discourage investments in American companies. The Senate seemed poised to follow the House with some kind of energy legislation with a bill that was to be introduced last April by Sens. John Kerry (D-Mass. ), Joe Lieberman (I-Conn.) and Lindsey Graham (R-S.C.). The proposed American Power Act weakened the House cap and trade provisions. It also offered incentives like the $54 billion in loan guarantees and tax breaks it promised the nuclear power industry, which supporters argue is clean and at least approaches carbon neutrality. But Graham pulled out before the bill was introduced, accusing Senate Majority Leader Harry Reid (D-Nev.) of playing politics with the bill. “I deeply regret that election year politics will impede, if not derail, our efforts to make our nation energy independent,” Graham wrote in a letter to energy supporters with whom he had worked to craft legislation. He made it clear that he would not go forward with his support for the bill. Kerry and Lieberman wore their best bipartisan smiles, but Graham’s disappearing act proved a blow to Kerry. Almost forgotten as a major player after his 2004 presidential defeat, he has taken on energy policy and combating climate change as his new cause. He worked with Sen. Barbara Boxer (D-Calif.) to introduce legislation in 2009. 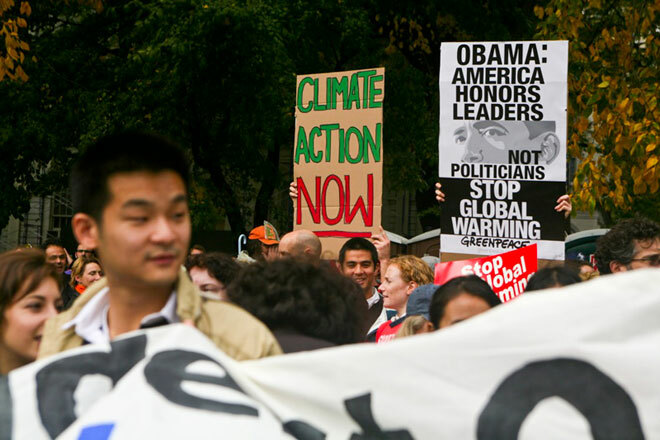 And he traveled with the U.S. delegation in the 2009 Copenhagen Climate Conference. Lieberman helped negotiate the Clean Air Act Amendments of 1990, and he has worked on multiple bills to reduce global warming pollution. Graham’s departure virtually guaranteed that no Republicans would support the bill, and it all but put a nail in energy legislation’s coffin for 2010. Even those who appeared to be logical supporters seemed ho-hum about the legislation, evidence of no great consensus that the American Power Act would curtail our dependency on oil and create viable energy sustenance with renewable sources, such as wind and solar power. While calling it an important first step, Clarissa Unger, spokeswoman for Al Gore’s Alliance for Climate Protection, said it also leaves much to be desired. Perhaps the major reason no energy bill will emerge from the Senate this year is the mid-term elections that have the Democratic leadership on the defensive and fighting to stay alive. Reid, who determines the Senate’s legislative agenda and schedule, framed himself as a spearhead for innovative U.S. energy policy in March 2009 when he introduced his transmission bill, the Clean Renewable Energy and Economic Development Act. In mid-2010, Reid steers a seemingly different legislative agenda, largely because of a strong challenge to his Senate seat. He finds himself neck-and-neck in the polls with Sharron Angle, the Republican challenger who won her party’s nomination by campaigning against everything that Reid spent his energies supporting in Washington, such as healthcare. A supporter of natural gas and coal expansion, Angle also believes that offshore drilling should continue. Needing an issue to galvanize his base in Nevada and fend off the anti-Beltway, Tea Party rhetoric, Reid seized on the controversy underscored by Arizona’s governor passing a stringent illegal-alien enforcement policy. So he bumped immigration in front of energy on his legislative agenda in April. Four other Democrats face similar challenges like Reid in their home states, including Blanche Lincoln of Arkansas, Michael Bennet of Colorado, Patty Murray of Washington and Russ Feingold of Wisconsin. Their struggles to pull away with any comfortable lead going into November signals the anti-incumbent fervor felt in many states this election cycle. And if those Democratic seats are lost, Republicans might dig up the American Power Act just to kill it again. From where Ebinger sits, the answer to why Congress can’t pass a comprehensive energy plan is simple. Interest groups with deep financial interests in energy pull in different directions, he said. Additionally, he noted, energy is produced in 25 states, and their representatives are constantly weighing how policy changes would affect jobs in their states and powerful constituencies. Critics argue that too many questions about energy policy and too much catering to special interests have blurred what used to be clear goals for Congress. Photo by Lauren Frohne. Some policy analysts see the Obama administration as further clouding the waters by inviting more interest groups to the table. Borelli references industry giants as going on record in support of cap-and-trade. Many of those comprise the U.S. Climate Action Partnership (USCAP), a self-described alliance of industries and environmental groups that support legislation to cap greenhouse emissions. Prominent members include the Dow Chemical Company, DuPont, Duke Energy, General Electric and Shell. According to the Center for Responsive Politics, USCAP spent $1 million in 2009 lobbying for climate change legislation, and it has spent $255,000 in 2010’s first quarter. That places USCAP in the energy sector’s top five lobbying clients so far in 2010. Similar interest groups also have a powerful way in to influence individual members of Congress on energy policy. Those include an emerging alternative-energy lobbying bloc. Take Mary Landrieu (D-La.). The Center for Responsive Politics also reports that in the last five years, energy companies made up six of her top 20 donation sources. Companies like Entergy Corporation, Edison Chouest Offshore and Marathon Oil have helped those six to contribute almost $174,000 during that time. She’s not alone. Jones Walker ($31,600), Chevron Corporation (almost $30,000), Murray Energy (almost $17,400) and Southern Company ($15,500) give generously to her Senate counterpart David Vitter (R-La.). The Center for Responsive Politics reports that President Obama is the all-time top recipient of BP-related money, having received $77,000 in personal donations made by the company’s employees. Lisa Murkowski, senior senator from Alaska, embodies the complexities at play between senators, their constituents and special interests. With a void at the national level, individuals in small and big cities across the U.S. are taking action, such as the kids at the Boys and Girls Club of Lansing. Fifteen miles away from Michigan State’s campus, the site of Obama’s 2008 energy promise, 50 members of the club have promised to enact their own change. For the GET City project in 2007, the group held an energy audit of the building where they meet. The project, of which Michigan State University is a partner, receives funds from a grant from the National Science Foundation. It serves as a non-traditional way of emphasizing science, math and engineering to at-risk youth in Lansing. As a result of the audit, the children, whose ages range from 9 to 17 years old, recommended changes. They placed signs next to each light-switch to remind others to turn off the lights and save energy. They recommended the building find a new roof, and it did. On went an energy-efficient 25,000 square-foot roof, complete with three skylights. Or take Michael Nutter, the Democratic mayor of Philadelphia, Pa., the nation’s sixth largest city by population. Nutter’s Philly is poised to become a major player at the local level. In fact, Mayor Nutter vows to make the one-time U.S. capital the most environmentally friendly city in America. Two years ago, he initiated Greenworks Philadelphia, an environmental program that has increased the city’s recycling rates from 7 percent to 18 percent. It also aims to revise Philadelphia’s zoning codes to encourage more green development and to see 300,000 more trees planted by 2015. And consider John Robert Smith, a former four-term mayor of Meridian, Miss. During Smith’s term from 1993-2009, he signed the Mayors Climate Protection Agreement, an initiative founded by former Seattle mayor Greg Nickels that encourages cities and towns to reduce their greenhouse-gas emissions. The agreement has the support of more than 1,000 mayors who represent nearly 88 million people across the nation. To back up the stroke of his pen, Smith directed Meridian’s initiatives that saw more efficient lighting installed at traffic intersections and buildings retrofitted with thermal-panel windows. Smith said that he and other local officials have been frustrated by federal inaction on energy reform. States have also taken the lead, particularly in emission controls, as federal policy stalls. California, the most populous state in the U.S. and the second-ranked state — behind Texas — in national energy demand, made strides by implementing energy standards for public buildings and requiring a 25 percent reduction in state carbon emissions by 2020. But the individuals and states can only do so much as the American Power Act languishes in Congress and as they wait for federal government to pass comprehensive, long-term policy that provides consumers with efficient and affordable energy and that encourages stable investments in new and sustainable sources of energy. Summers said in his April remarks that passing comprehensive energy legislation would reduce this economic uncertainty, raise the demand for jobs, decrease reliance on regulation, open markets, increase America’s innovation and strengthen our competition abroad. BILL INTO LAW: WHAT STEPS REMAIN? What’s next for the American Power Act? 1. Once the draft is finalized, Kerry or Lieberman will formally introduce the bill to the Senate. 2. The bill is sent to the appropriate committee (possibly Energy and Natural Resources or Environment and Public Works). a. The bill can be split and sent to different committees. b. The bill can be reviewed and comments/revisions can be made; if substantial amendments are made, the committee can request a “clean bill,” giving it a new number. The Senate must approve, change or reject committee amendments before the final passage of bill. 3. The bill is put on the Senate’s legislative calendar. a. Filibustering, endless debate on a bill in an attempt to ultimately kill the bill, can commence. b. To counter filibustering, cloture can be invoked, which puts a 30-hour limit on future debate of the bill. Cloture must be voted on by 60 percent of the Senate. 5. The bill is voted on. It needs 51 votes to pass. 6. If the bill passes, then a conference committee, made up of members of both houses, will reach a compromise between the Waxman-Markey bill and the American Power Act. If they don’t reach a compromise here, the bill will die. 7. If they reach a compromise, the House and Senate must vote on the same compromised bill. If this bill passes by majority, then it is sent to the President. 8. President either signs or vetoes bill. Of the eight steps, breaking the filibuster will be the biggest challenge for the Democrats because it will require 60 votes. Currently, there are 56 Democratic seats, 41 Republican seats, two Independents. There is also a vacant seat, since former Sen. Robert Byrd (D-W.V.) died June 28. Even if every Democrat and Independent votes for the bill, they will need at least two Republican votes, unless Byrd’s seat is temporarily filled with a Democrat. Track the evolution of the American Power Act from a bipartisan op-ed in The New York Times, to present. The much-discussed draft legislation lost its original Republican sponsor two days after Earth Day and was analyzed by the U.S. Environmental Protection Agency before it even officially hit the Senate floor. Senators John Kerry (D-Mass.) and Lindsey Graham (R-S.C.) co-write an op-ed in the New York Times proposing to write a climate and energy bill and urging the Senate to pass it. They say the bill will address greenhouse-gas emissions and the nation’s dependence on foreign oil by increasing investment in alternative energy, nuclear power and offshore drilling. The bill will also protect businesses and consumers from substantial increases in energy costs. At the United Nations climate summit in Copenhagen, Denmark, Senators John Kerry (D-Mass. ), Joe Lieberman (I-Conn.), and Lindsey Graham (R-S.C.) announce their plan to pass bipartisan energy-climate legislation (pdf). Graham confirms support for energy legislation. “If the approach is to try to pass some half-assed energy bill and say that’s moving the ball down the road, forget it with me,” he says. Graham announces that cap-and-trade is dead and says that a targeted carbon tax on both industry and consumers would be more effective in reducing carbon emissions. Lieberman says the bill will not authorize drilling in the Arctic National Wildlife Refuge, despite Senator Lisa Murkowski’s (R-Alaska) request. Obama proposes expanding oil and gas drilling in the Atlantic, the Gulf of Mexico and Alaska. The Deepwater Horizon rig blows up, killing 11 workers and starting the worst oil spill in U.S. history. The 40th anniversary of Earth Day draws 15,000 to Washington, D.C. Kerry, Graham and Lieberman promise to unveil their bill on the 26th. April 23, 2010 – The Deepwater Horizon rig sinks two days after explosion, clouding the political prospects for energy reform. Some politicians point to the spill as a reason to pass new legislation; Senator Graham and others want more time to rethink the rules for offshore drilling. Graham withdraws his support from the climate bill in response to Senate Majority Leader Harry Reid’s (D-Nev.) emphasis on immigration reform. “Unless their plan substantially changes this weekend, I will be unable to move forward on energy independence legislation at this time,” he says. “Moving forward on immigration — in this hurried, panicked manner — is nothing more than a cynical political ploy,” he says in a letter to Senators Kerry and Lieberman. Kerry and Lieberman postpone revealing the draft bill after Graham walks away. Senators Kerry and Lieberman announce plans to give drilling legislation a second look and to continue supporting energy reform without Graham. Senators Kerry and Lieberman release a 987-page draft of their bill on climate and energy legislation. Speaking at Carnegie Mellon University, Obama expresses support for passing climate and energy legislation. “The votes may not be there right now, but I intend to find them in the coming months,” he says. The EPA releases an analysis of the American Power Act (pdf). 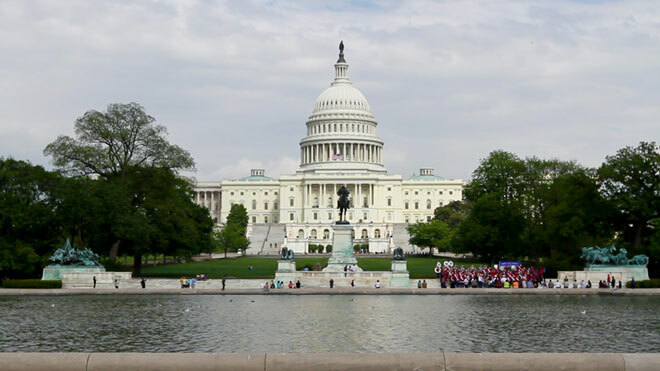 According to the analysis, “while there are important differences between the American Power Act (APA) and (the Waxman-Markey Bill), the modeled impacts (…) are very similar.” The study claims the bill would have a relatively modest economic impact on Americans. The American Power Act would even reduce energy costs for some families because it mandates more efficient technologies. Democrats hold a caucus meeting on clean energy legislation. “Today’s meeting was a productive and robust discussion on the need to pass strong clean energy legislation to secure our economic future,” says Senate Majority Leader Harry Reid (D-Nev.). Reid urges the Senate to move forward on energy legislation this summer and that legislation should address the oil spill in the Gulf, create new jobs, reduce pollution and strengthen national security and energy independence.